The huge Suria Sabah entrance with a huge red magnificent decoration will drive you to a feeling as happy as watching fireworks. The astonishing hundred light shines upon the night turns anyone into an atmosphere of Lunar New Year 2015. It is the goat year. Prosperity God is here with his angpows and dressing in red and yellow. 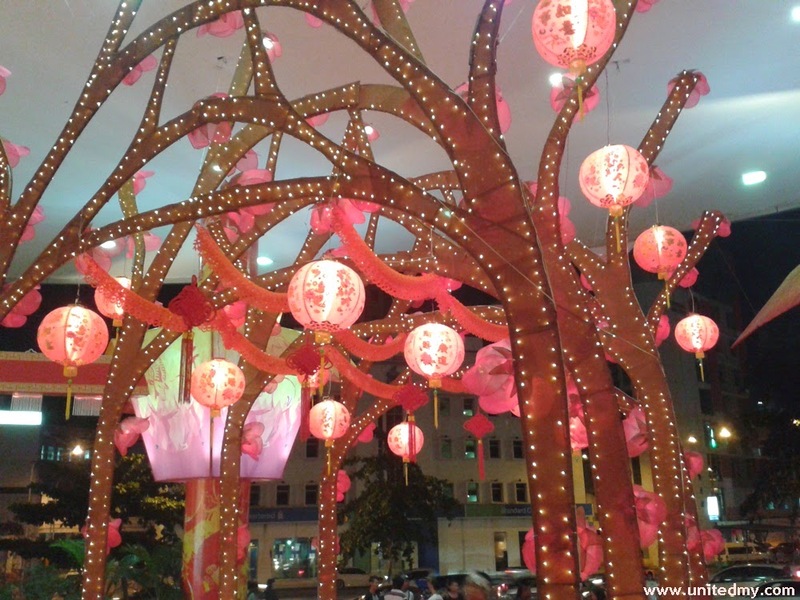 As the Chinese New Year 2015 is around the corner, Suria Sabah Shopping Mall is pretty generous spending so many funds in order to attract visitors. Most of them spend couple of hours watching this exclusive show. 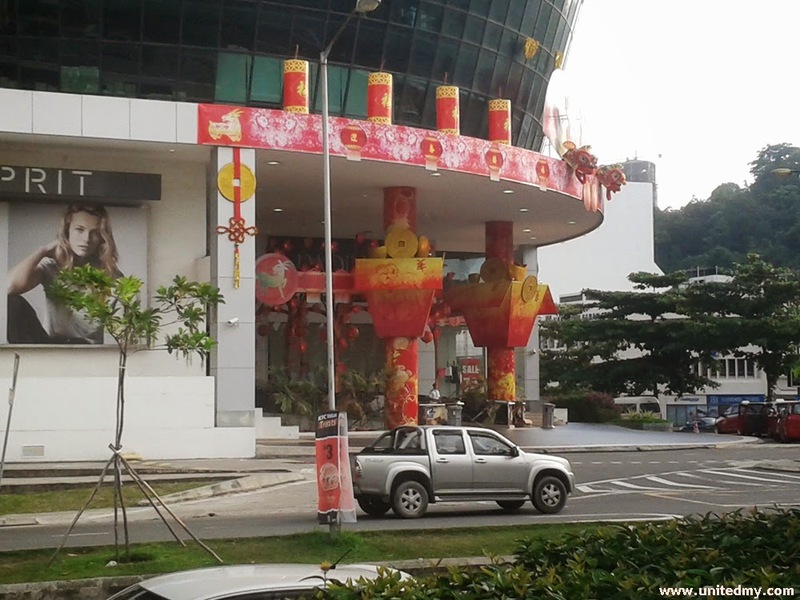 Utilizing large ample space they could put some amazing and seriously awesome CNY interior decorations. The eye-catching decoration and intriguing lion dance drums captured many passer-by attention. Always confuse it was a lion or a dog because it too cute to be lion. In fact, it neither lion or a dog. It was a mythical creature that live in a cave. Some would believe it emits fire However, it weakness is firecrackers that could ward off them from destroying villages and eventually they stayed in cave. For centuries, believing that lighting up firecrackers could save them from the attack of the mythical creature. But, do you ever think how much profit fire cracker makers made ? They would telling you anything perhaps a very good story. Although firecrackers were not easily accessible due to legal barrier as these firecrackers were not taxed by authority. There are some foes still able to get it and play it.